Union Public Service Commission has released admit card for NDA/NA Examination 2018. 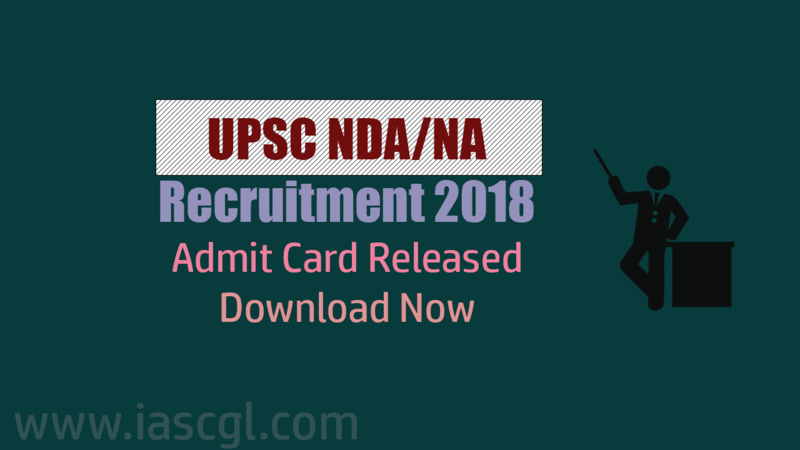 Union Public Service Commission has admit card for the recruitment of NDA/NA 2018 Exam. Aspirant can download their admit card from the official website of UPSC. There are approximately a total of 415 vacancies notified by UPSC in official notification of NDA/NA 2018 recruitment.